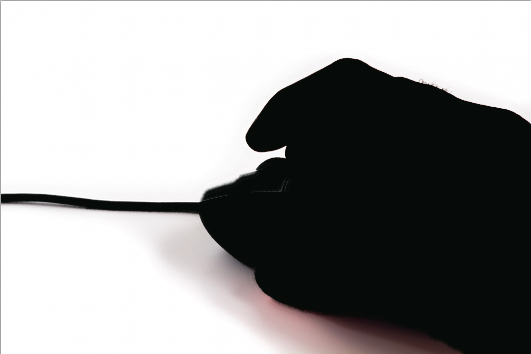 This article was written in 2011 and remains one of our most popular posts. If you’re keen to learn more about Photoshop, you may find this recent article on getting started with Photoshop of great interest. Masking is an essential part of Photoshop. Mastering masks and how to create them to fit different situations is what sets a novice apart from an expert. There are different masking techniques and tools available to help you create the perfect mask for your Photoshop project. The reason we mask out a background or delete it in the first place is so that we can smoothly and convincingly composite images together. You can do some amazing things with Photoshop, and masking is at the center of achieving great effects and realism. When removing the background from images, you can either delete the unwanted background, or you can remove it using a mask. Professionally, a mask is technically better, because if you take too much of an image, you can paint it back in with a white brush if you use a mask. If you delete it, you have to undo your last action. A major problem is that you only have so many history states, so if you delete something by accident and donâ€™t realize it until much later, you may not be able to retrieve that portion of the image. You would lose valuable time by having to remove the background all over again. You can download the sample file here. You can use the eraser tool to remove large areas that you know you do not need. You could theoretically come in with the eraser and remove finer details, but that is more complicated and time consuming than other methods. The Eraser Tool has opacity, hardness, and size settings just like a brush, and you can also use different shapes and brush tips as well. This can be very handy for erasing simple background such as those with solid colors, but anything complicated becomes a hassle. 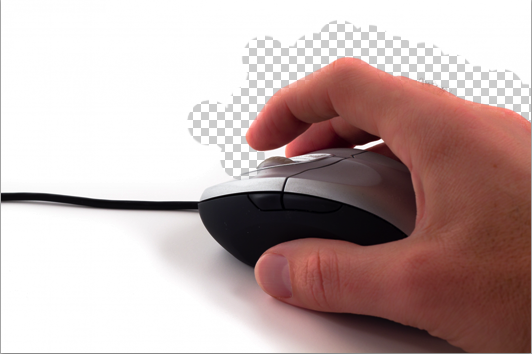 Notice in our example that I was able to remove the white from around the hand, but when I came too close to the mouse, it erased some of it as well. This can be counterintuitive, because the tool is meant to be clicked and dragged along an edge, and the tool detects where edges are. 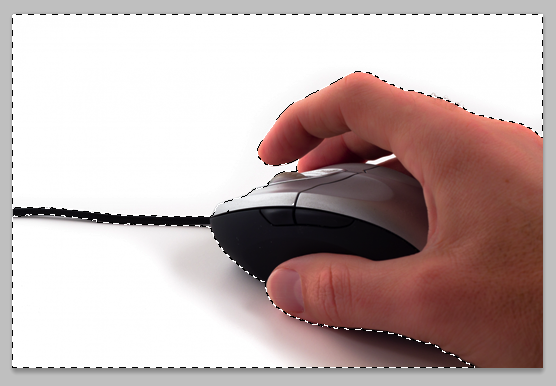 This tool is very handy, as it can remove a background with one click. You have to adjust the tolerance level of the Magic Eraser, but with the right setting, you can remove a great deal of the background. With a tolerance set to 32, the Magic Eraser took some of the top portion of the mouse away. 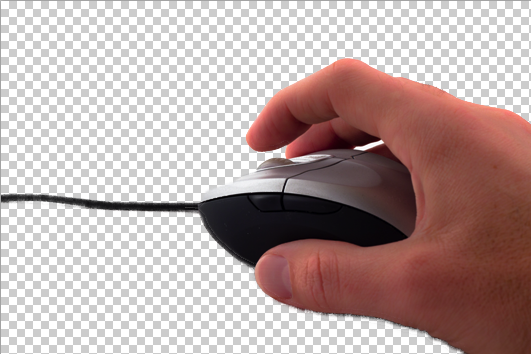 When I lowered the tolerance to 20, it removed nearly all of the white background above the mouse cord. Turning off Contiguous allowed me to remove a large portion of the background with one click, but some of the shadow area under the hand was still present. Another problem is that the Magic Eraser tool can leave pieces of the background behind, so it is a good idea to make a new layer below the image that you are trying to isolate, and fill it with a solid color that contrasts the colors in your image. That will allow you to see artifacts left behind. The Magic Wand Tool is a one-click selection tool that you use to make selections in your images. It relies on a tolerance setting much like the ones found with the Background Eraser and the Magic Eraser Tools. What is nice about the magic wand tool, as with other selection tools, you can add to a selection and subtract from a selection without consequence. Simply Hold Shift to add to the current selection, and hold Option/Alt to subtract from a selection. If you select too much, Hold the Alt/Option key and click the area that you wish to deselect, while keeping the other areas selected. The Quick Selection tool makes selecting objects quick and easy. It is similar to the Magic Wand tool, except that it has no tolerance. There are 3 options available in the options bar. You can set the Quick Selection Tool to always make a new selection, our you can set it to add too a selection, or subtract from it. I set the default to add to you selection. 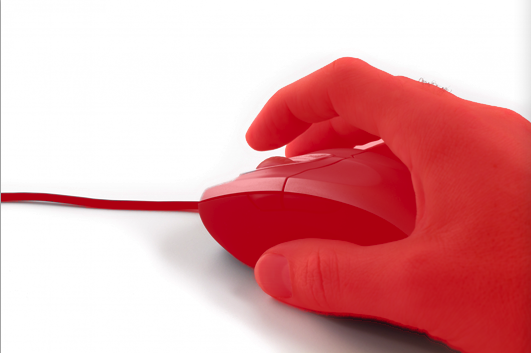 This allows you to click and drag over the areas that you want to include in your selection. 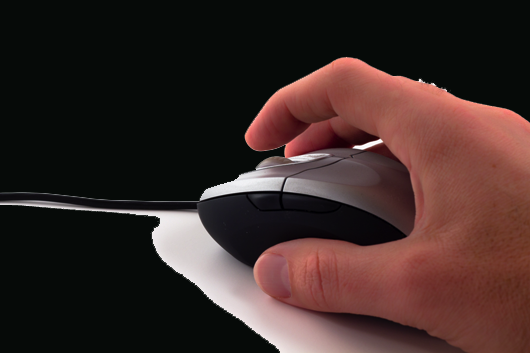 Like the other tools, simply hold the Option/Alt key and click you mouse to subtract from your selection. Instead of deleting the area that you want to remove, simply mask it out. This will allow you to edit your object, so that you can make the edges smoother, and you wonâ€™t lose any image information permanently. This gives you a great deal of flexibility. Using Refine Edge will allow you to control your mask with sliders and settings to smooth harsh edges in your image extraction, and make transitions much smoother. You can also shift the edge, as well as create more contrast between the edge and the background. 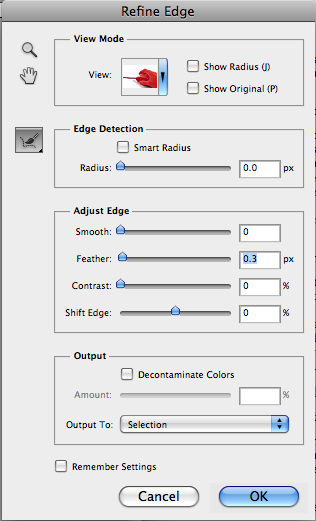 A great feature inside of the Refine Mask feature is the Output section. Here, you can specify that your selection is output to layer mask, a new layer with a layer mask, or even a new document altogether. Since I had the background selected, It masked out everything but the background, but with the mask selected, if you hold command/ctrl and hit the I key, it will invert your mask, revealing the hand and mouse. If you are 100% happy with your mask, right click on the mask icon and choose Apply Mask. 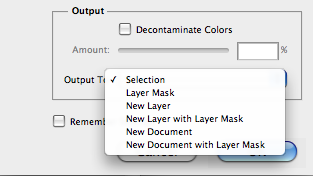 However, if you want to keep the mask, when you move this layer into another document, it will bring the mash with it.